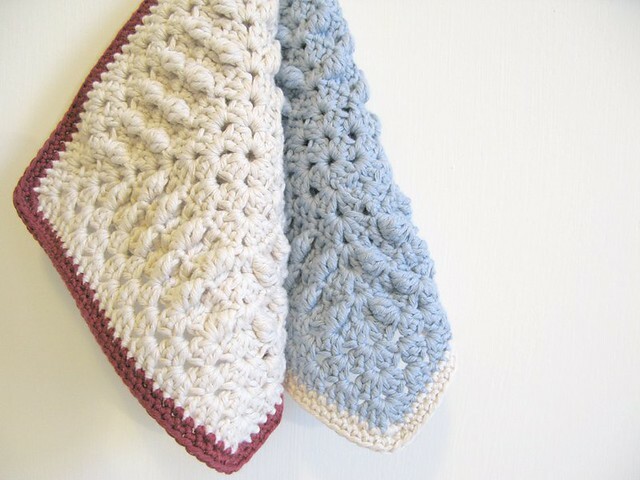 Daphne and Molly - Naturally dyed, 100% organic dish cloths. 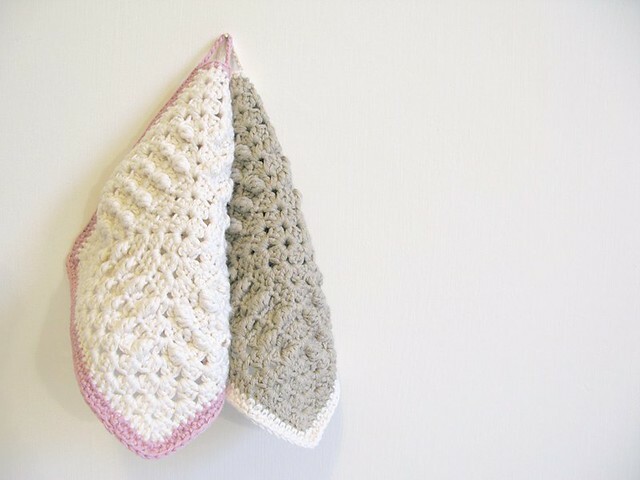 Clara and Olivia - Naturally dyed, 100% organic dish cloths. Lillian and Pheobe - Forever Flower Garlands. Despite the drop in temperature here, and the resulting icy cold and numb fingers, I have been steadily crocheting a few new things for my wee shop. Some new dish cloths, as the first batch I made sold out in just a couple of days! And two new Forever Flowers Garlands as the one I listed sold almost immediately - yay! I also have a new batch of 'granny chic' cards to list, but I'm struggling to get some great pics as the light is dreadful just now! Hopefully tomorrow will be a better day for it!? Edited to add - remember you can also check out my wares in my Papernstitch shop this month! Now I'm off to refill my hot water bottle and sit it under my hands while I busy my fingers with a wee bit of festive crochet, more about that tomorrow! I love them, and I love that you name them as well. Beautiful garlands. Can't wait to see what you are working on. i LOVE giving name to handmades...emma you are such a talent! Best luck Emma with everyhting in your store! I am truely bummed I missed a chance at one of those garlands! They are fantastic!